with mapped drives and file locking. It's the real cloud file server you've been looking for! that maintains compliance for your company, in your country. Protect yourself from ransomware and other threats while preventing data leakage. Give your employees a CIO approved secure file sharing solution! Replicate your file server content to any data center or cloud for business continuity. Create NTFS permissions and Active Directory user identities in the cloud or copy them from the file server. Complete your file server migration to the cloud in minutes with zero down time. Accelerate your digital transformation with CentreStack! 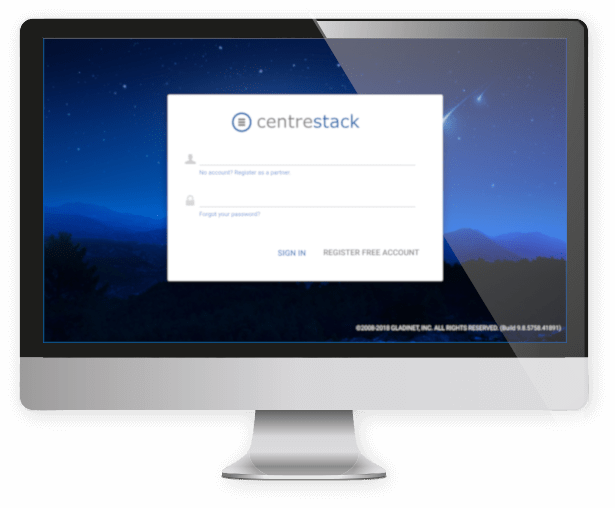 Customer oriented and driven by partner feedback, CentreStack helps businesses provide remote access to on-premises file servers or migrate them to the cloud. Whether the need is remote access from any device, or cloud replication for business continuity, costs are reduced and complexity is eliminated. Either way, CentreStack presents an easy-to-use unification of file server security and cloud mobility that requires no end-user training. Combine that with powerful security and control features, deployment flexibility, MSP focus and amazing support and it's easy to see why our customers fall in love. Check out CentreStack's incredible feature set, driven by our vibrant user community, making it one of the most versatile cloud file server solutions for secure mobile access and collaboration, with control of almost every security and compliance requirement. 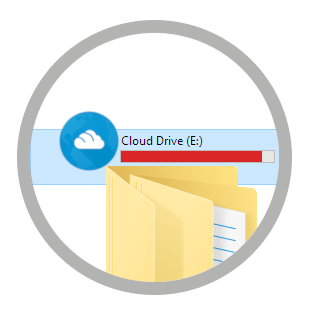 Remotely access file shares from a drive letter, without the need for a VPN. Cloud replication is optional! Preserve NTFS permissions and Active Directory identities when connecting file servers to the cloud. Solve file server sync and share problems, while facilitating mobile access and business continuity. Minimize storage and bandwidth consumption by automatically syncing and caching only the files you need. CentreStack provides full support for file locking from the cloud, with a familiar file server locking experience. Encrypt remote agent caches or revoke access privileges from a central management console. Centrally manage group policy settings to satisfy different requirements from different clients. Replace cumbersome VPNs and access files remotely using any web browser. Limit access to just the needed files. Connect to your file server with a mobile device and edit directly using Microsoft Office Mobile Apps. "Why haven't I found this before?!" See how a CentreStack partner deployed CentreStack and reduced VPN tickets to zero! In this specific use case, CentreStack was deployed next to the internal file server and active directory domain. This enabled remote and mobile access on iPhones and iPads without the need for a VPN and its complications. As a result, the service provider stopped receiving VPN related tickets which reduced support costs and the client was quite pleased with the improved experience. A compelling win-win! 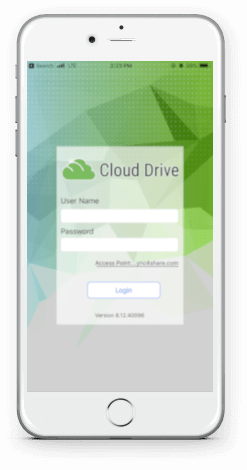 Bring the cloud experience to your file server by providing Secure Mobile Access to file servers without cloud replication. Use existing NTFS permissions and Active Directory identities. Enhance data control with features like file versioning, auditing, reporting and policy-based collaboration. Become a Cloud Service Provider by providing a Dropbox alternative for your users that keeps you in control of their data while reducing costs by 50-80%. At the same time, you move the customer's file server to your data center and provide a business continuity solution for your customers. Bring Your File Server Experience to the Cloud by leveraging existing NTFS permissions and Active Directory permissions with familiar mapped drive and file locking behaviors. Your customer's file server will be synchronized out to the Cloud with same end user experience. Optionally retire file servers. The fully featured demo can be instantly converted into production use. Version control prevents accidental modification and deletion of files, with extra layers of conflict detection to facilitate offline collaboration. Deep integration with mapped drives for Windows Explorer and mounted volumes for Mac Finder, with version history, check-in and check-out in the context menu. Large files and folders can be converted to links in outlook. File uploads are based on binary differentials for efficiency. Data-At-Rest encryption and Data-in-Transit encryption prevent eavesdropping and protects data at remote data centers, while end point cache encryption protects data at the end points. Detect suspicious activity and block ransomware. Integrated with Azure AD, DUO, OKTA and other SAML 2.0 compatible identity provider services for both web browser access and desktop client access. Integrated with Google Authenticator, Amazon MFA, and DUO for two factor authentication. Shared folders have optional secure data room features to enable view-only permissions that disable downloads. CentreStack integrates with MobileIron, Maas360 and other MDM platforms for better device security management. Audit tracing and file change log reports make it easy to see what happened in the system and troubleshoot. Monitor your deployment with error alerts and notifications of important activities. Users can share files and folders as web links for other users, or simply create guest user accounts that can receive shared files and folders. Receiving files and folders can be as easy as generating a web link where others can upload. Create a private cloud on-premises or in a data center where you already have IT infrastructure, for full control of your hosting data. Deploy with Amazon AWS, Microsoft Azure or OpenStack. Host in your data center or with CentreStack. Customer wanted to a way to support their growing workforce world wide and maintain HIPAA and GDPR compliance. We solved it by integrating CenterStack with Office 365 Single Sign on and using CentreStack's HIPAA and GDPR compliance center. We provided a world wide cloud file server for the organization while maintain compliance for the customer. We love CentreStack. We struggled like most technology providers to find a solution to the old ways of sharing files. For too long products would come along that basically all did the same thing. Make copies of files to each users PC and try to keep them all in sync. CentreStack was different. CentreStack took the capabilities of a traditional on premise file server but allowed us to turn it to the cloud. Not only did we find that we could simplify the problem of files, but we could add a plethora of features for the client to better manage, secure and interact with that content. No other solution has come close. We have tried almost every file sync and share program out there over the years and we finally found a product that fulfills ALL of our needs. Our biggest issue was finding a brandable FSS program that would play well in our virtual cloud desktop solution. We had been using Anchor and struggled with it consuming shared server disk space for every profile. With CentreStack, the users can have anywhere access to their files without consuming any local or cloud disk space! This is a game changer for us and our cloud desktop clients because we can now purchase mini fan less computers with 128 GB SSDs for less than $300. We love it and our clients love it. We keep it simple and cost effective. Join CentreStack partner program for IT managed service providers!